As we know, the cells of the body are regenerated and rebuilt based on the nourishment they receive. It is clear then, that good quality food will renew and regenerate a healthy body, whereas, poor quality food will produce an inferior body. Moreover, there are fatty substances in many modern foods that enter the bloodstream, and when consumed in excess, they stick to the walls of the arteries until they thicken and block the flow to vital areas. Once that happens, the consequences are well known. There are other hidden ingredients contained in commercial foods that once consumed, they stimulate the cells to function in an incorrect and uncontrolled way, until various growths begin to develop. Therefore, it is essential to consume foods according to these rules. These foods are more closely associated with the products of nature that the Creator has lovingly prepared for us, and less with the industrialized products created by man for personal, monetary interests. A. Food must be diverse and must include all the elements the body needs; carbohydrates, proteins, fats, vitamins and minerals. Great importance should be placed on products that are minimally processed, for example, whole grains and fresh vegetables that have not been stripped of their nutrients. These should be the preferred choice over foods that are more processed, such as products that contain white flour or canned vegetables. B. Foods that contain artificial coloring should be avoided as much as possible, as well as processed fats such as margarine or products rich in bad cholesterol. And lastly, the large amounts of sugar and salt consumption that are generally accepted by modern society should be significantly reduced. The daily menu should consist of healthy and nutritious meals that include all the ingredients that the body needs to build its cells, burn energy and facilitate motility – much like the function of fuel in relation to a car. 1. Carbohydrates, such as bread, potatoes, rice and so on. 2. A serving of proteins, such as chickpeas, beans, fish, chicken or meat. It should be noted that many of the meals we eat, already contain the necessary servings of fat in its natural form, for example, in avocados, nuts, and so on, therefore, it would be unnecessary to add more. 4. Vitamins and minerals, which are found in abundance in fresh fruits and vegetables. Freshness: Fruits and vegetables that are not fresh eventually lose a significant amount of vitamins and health advantages. Once they are old and withered, the loss of these nutrients becomes quite significant. Even fruits and vegetables that may be eaten raw lose some of their vitamins when cooked, especially if cooked for long periods of time. Cleanliness: Great care must be taken to ensure that fruits and vegetables are free of pesticides. This must be done by washing them well in soap water, or by peeling them. For fruits and vegetables that do not require close inspection, it is better to buy the organic kind that grows without pesticides at all, or with certain pesticides that are not harmful to the body, because even though thorough washing of the produce removes the outer pesticides, still, it does not remove the chemicals that are absorbed into the fruit by the various sprays that are used. Right now, organic produce tends to be quite pricey, but there’s no doubt that the more people buy it, the lower the prices will drop. Various Colors: When selecting fruits and vegetables for consumption, one should pay attention to their assorted colors. Every color points to different vitamins and minerals contained in that fruit or vegetable. Consuming a variety of colors ensures that the body will receive all the nutrients it requires for optimal health. 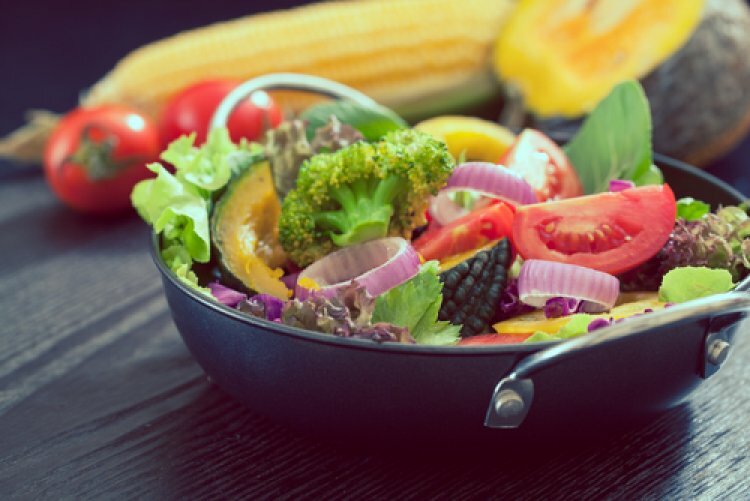 Therefore, a mother who is concerned for the physical wellbeing of her family will be sure to prepare meals for them from time to time that include a color assortment of vegetables. This variety will enrich the flavors of the food, without needing to add seasonings or instant soup powders, which usually contain harmful chemicals (for more information on the significance of the colors, refer to the chapter in this book called, “The World of Colors”). Food Coloring: In this context, the word "food" is deceiving. It leads us to believe that we’re talking about colors that are similar in their composition to the colors found in nature and are therefore fit for consumption, like the red of a watermelon or the orange color of an orange etc. But the truth is, that these colors are usually made out of various metal powders and coal tar! However, some people unfortunately decided that they are perfectly fit for consumption. Actually, the extent of the damages caused by these colorings and whether they are carcinogenic is still being debated. However, there is great concern regarding the motives of those who claim that these materials are not so harmful or hazardous. Even the high number of patients with serious illnesses related to the use of commercialized substances does not support their position. The strange thing is that substances that are unapproved for consumption in other countries may be sold to consumers in Israel! For example, the red-yellow food color named beta-apo-8 may not be sold or consumed in the United States and Europe, nor can the food color, 123E be sold or eaten in the US or other countries, whereas in Israel, they are sold and consumed without restriction. In any case, there’s no doubt that food coloring harms the body in one way or another, and it must be avoided as much as possible. Preservatives: Usually, the word “preservation” has a positive connotation. But in this case, the material that is used to preserve the food contains toxins that kill bacteria, and by doing so, it prevents the decomposition of the product and allows the manufacturer to benefit from the product’s extended shelf life. However, when this substance is ingested it continues to do its job inside the body where it damages and destroys the good intestinal bacteria that is needed for optimal digestion. Trans Fats: The human body adapts itself to the natural world around it. Therefore, it can break down and digest natural fats. However, hydrogenated fats such as margarine, are liquefied oils by nature, which have undergone a commercialized hardening process. This type of fat is unfamiliar to the body and therefore cannot be digested or utilized in the proper way, as it will ultimately cause cell damage. It is appropriate to discuss animal fats in this context. In previous generations, cattle and sheep grazed in nature on fresh grass, this made their meat and fat somewhat healthier. On the other hand, in our generation, animals are injected with growth hormones and loaded with poor quality foods that contain pesticides and antibiotics. The effects this has on the meat are obvious. Therefore, in this day and age, one should avoid the consumption of beef and lamb, and especially fats that contain harmful substances. This goes for unprocessed meats as well, and all the more so for the processed variety. “Some manufacturers of processed meat add water to the meat. They claim that the water is added in order to soften the meat, making easier to eat. But consumer rights organizations suspect that this practice is performed in order to increase the weight of the meat and profit more from it. The problem is that this is where the harmful effects begin. Meat with added water spoils faster; therefore phosphates must be added to it. This process reduces the redness of the meat, so food coloring is added to give the meat a fresh appearance. Sodium nitrates are also added to the meat to make it appear fresh. This substance is harmful to one’s health because it turns into a chemical called nitrite in the body and then reacts with other chemicals called amines, creating nitrosamines, which are known to be highly carcinogenic. In order to ensure that the color spreads evenly across the surface of the meat, emulsifiers are added. Once this whole process is completed, the meat becomes tough, so in order to take care of that problem, softening agents are added. Products High in Cholesterol: Cholesterol is a substance similar to fat found in the blood that protects the walls of the blood vessels from erosion. However, there are two types of cholesterol: There’s good cholesterol (HDL), which helps and protects, and there is bad cholesterol (LDL). Bad cholesterol causes high blood pressure, gallbladder stones, hardening of the arteries, as well as heart disease. Bad cholesterol is found in animal fats - both meat and dairy. It is also found in liver and egg yolks. Good cholesterol is found in salmon, mackerel, sardines, flax, soy and more. Sugar: This is one of the most harmful substances abundantly found in modern food. Sugar is produced from beets and sugarcane, which contain fiber, vitamins and minerals in their natural form. However, they are only sold once they are processed, and stripped of all their nutrients, leaving only the white sugar as empty carbohydrates. Brown sugar is not much better. It is nothing but white sugar whose elements have been partially restored. Most of the harm caused by sugar comes from the fact that in order to break down these empty carbohydrates, the body must use its vitamin and mineral reserves. This way, not only does the sugar not benefit the body, but it also strips it of its wealth. Excess sugar depletes calcium stores and thus, weakens the bones. Tooth decay increases as well following the consumption of sugar. Many diseases are caused by sugar. Naturally speaking, humans never had a need to sweeten their food and drink with sugar. Even those who are used to drinking sugary drinks can gradually reduce their sugar intake. Eventually, they will enjoy drinking clean, natural water that has been filtered and purified of chlorine and all other harmful substances found in tap water. Filtered water tastes better too. When something needs to be sweetened, honey or natural fruit juice concentrate may be used as an alternative in drinks, or whole or ground dates and raisins in pastries. Even ground sesame seeds and other natural products can enhance the flavor of baked goods and serve as a substitute for sugar. Fresh and dried fruit can replace chocolate and artificially sweetened candy. The author of this book knows a family whose children are happy to come home with sweets received in school and exchange them for healthy sweets, or "sell” them to their mother and place the proceeds in their personal savings fund. Salt: Like white sugar and white flour, table salt is a product that’s sold after being stripped of its healthy components. Original sea salt contains iodine and various minerals. But once it is refined, it becomes clean salt that has bleaching substances added to it as well as chemicals that allow for dryness and fluidity. Such chemicals usually contain harmful aluminum compounds. Even though the body needs salt, if high levels of it are present in the body, it induces the secretion of calcium, which depletes the bones, causes kidney problems as well as cardiovascular and rheumatic diseases. Modern food contains excessive amounts of salt. Even regular bread contains one percent salt, so by eating 250 grams of bread we are essentially putting half a teaspoon of salt into our system! Some of the products that contain high levels of salt include olives, pickles, nuts, soup mixes, bagged chips, self-rising flour, cured meats and more. The wise man will learn how to use healthy herbs and spices as seasonings instead of using soup mixes and large quantities of salt to flavor his food. Everything that was said so far is an amassment of information that presents a grim picture of people’s harmful dietary practices. The objective in this presentation is to encourage people to make real changes in their eating habits, as the Torah requires us to safeguard our health. However, we must remember that to a certain degree, the body, which was created by G-d, is equipped to handle the unhealthy ingredients we consume, therefore, we must try not to become too stressed or cause a sense of panic when sharing this information with our loved ones. There is no question that a person who is accustomed to eating commercialized foods will have a hard time changing his habits, however, the human body is a part of the natural world, and we must therefore return to that world and stop harming ourselves with our own hands. The power of choice was given to every person. The happiest person is the one who chooses a proper life - both in the physical and spiritual sense. When a person eats or drinks, he should not intend to do these things solely for pleasure to the point where he will eat and drink only that which is sweet to the palate, rather, he should take care to eat and drink only in order to be healthy in body and limb. Therefore, he should not eat all that the palate desires like a dog or a donkey. Rather, he should eat what is beneficial for the body, be it bitter or sweet. Conversely, he should not eat what is harmful to the body, even though it is sweet to the palate. Dr. Chaim Sadovsky – nutritionist and author of the book: Lichyot Ad 120 – She’ela Shel Hachlata. His words are found in the book Habriut, Halacha L’maase page 215. Refer to Habriut; Halacha L’Maase for further information – chapter 12 page 173.